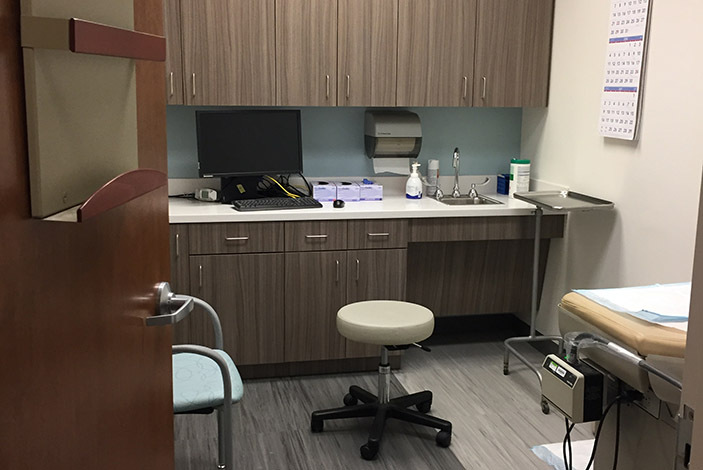 The Emory Reproductive Center recently underwent a major renovation to optimize its patients’ experiences, modernizing the space with a focus on efficiency, flow, patient comfort and privacy. Upon arrival at the Emory Reproductive Center, patients will now be greeted by a brighter and more welcoming lobby and check-in desk. 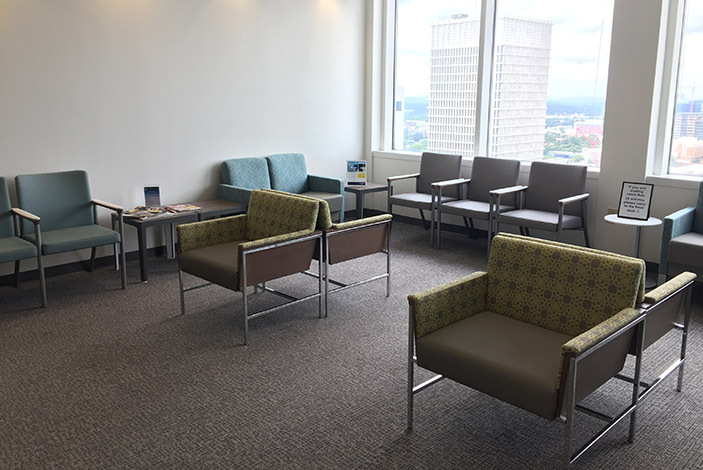 The Emory Reproductive Center, known for helping couples build families, recently underwent a major renovation to optimize its patients’ experiences. The center has continued to grow and has modernized the space with a focus on efficiency, flow, patient comfort and privacy. Upon arrival, patients will now be greeted by a brighter and more welcoming lobby and check-in desk. The ultrasound rooms have been reconfigured to allow for extra space for the patient, the patient’s guest, the equipment and the sonographer. The Post Anesthesia Care Unit or PACU has been completely renovated, creating a larger area for patient care with private rooms, each with natural light and an Atlanta skyline view, for recovery following a procedure. Patients awaiting blood draws and other lab work now have a small waiting area to ensure patient privacy. New flooring, furniture and art have been placed in the consult rooms for patient comfort. Staff will also benefit from additional work spaces in the newly renovated center, along with an updated break room and a dedicated all-glass conference room with smart technology and skyline views. At the Emory Reproductive Center, patients receive access to unparalleled expertise and state-of-the-art resources and tools in assisted reproductive technologies. The physicians and researchers in the center are all faculty members at Emory University School of Medicine, engaged in translating the latest research and advances into effective practice. The Emory Reproductive Center’s in vitro fertilization (IVF) program consistently achieves success rates significantly above the national average. Complete national and clinic specific data can be explored on the SART website. With such excellent results and a growing clinic, the renovation was definitely welcome. Services at the Emory Reproductive Center include: treatment with fertility medications, intrauterine insemination or IUI, in vitro fertilization or IVF, intracytoplasmic sperm injection or ICSI, preimplantation genetic testing (PGD and PGS), use of donor sperm, use of donor egg, and LGBT family building. The center also offers fertility preservation programs, including egg and embryo freezing, for those postponing parenthood or undergoing medical treatments that may cause infertility. For more information on the Emory Reproductive Center providers and services, visit: https://www.emoryhealthcare.org/centers-programs/reproductive-center/.